Mindful of its intergovernmental mandate to foster inter-religious dialogue and diplomacy, EUCLID has launched a dedicated web site, at http://interfaith.euclid.int which is being launched in conjuction with the announcement and implementation of the Interfaith Harmony Week events. EUCLID IFC interviews the former Ambassador of the Central African Republic to the United Nations on inter-religious conflict and reconciliation. 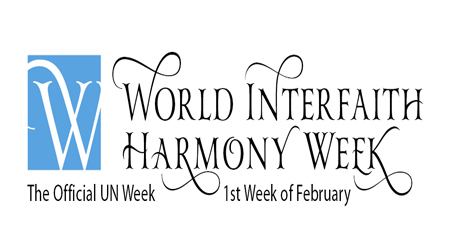 UN World Interfaith Harmony Week starts. EUCLID IFC interviews a long-time resident of Turkey to discuss interfaith and intercultural respect. EUCLID sponsors presentation of academic paper on A Common Word at St Innocent Orthodox Church in Eureka, with the participation of Humboldt State University religious studies department. EUCLID sponsors the World Interfaith Harmony event at the headquarters of COMESA-LLPI in Addis Ababa. EUCLID sponsors interfaith class in Trinidad and Tobago. UN World Interfaith Harmony Week event at EUCLID headquarters in The Gambia.